In 1975, Alfred Hitchcock was the third-biggest investor in Universal Studios, making him a wealthy man—and a towering presence among its creative leadership. Meanwhile, there was a much younger pup of a director who seemed to be all over the studio property at the same time. That was 26-year-old Stephen Spielberg. 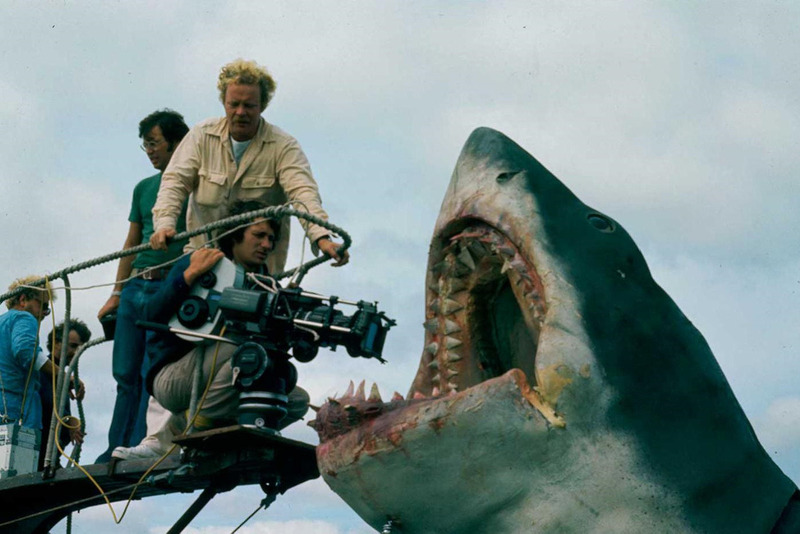 He'd just released the smash hit Jaws—and he badly wanted to meet his idol, Hitchcock. The Old Lion seemed to respect the Young Turk. And considering that Hitch's office bungalow was right there on the lot next door to Edith Head's, they should have met. Yet, they never did. Not one single time. What’s up with that? It wasn’t for lack of trying on Spielberg’s part. For instance, just as he did ten years earlier during the making of Torn Curtain, Spielberg snuck onto a Hitchcock set. This time it was to glimpse the production of Family Plot. Once again, Hitch had him bounced—which was doubly strange, since Jaws' blockbuster profits had stuffed trunks-full of cash into Hitch's pocket. The least he could do was thank the guy. Bruce Dern, who was starring in the movie, asked Hitch why he was being so standoffish. "You're his idol," he said. "He just wants to sit at your feet for five minutes and chat with you."